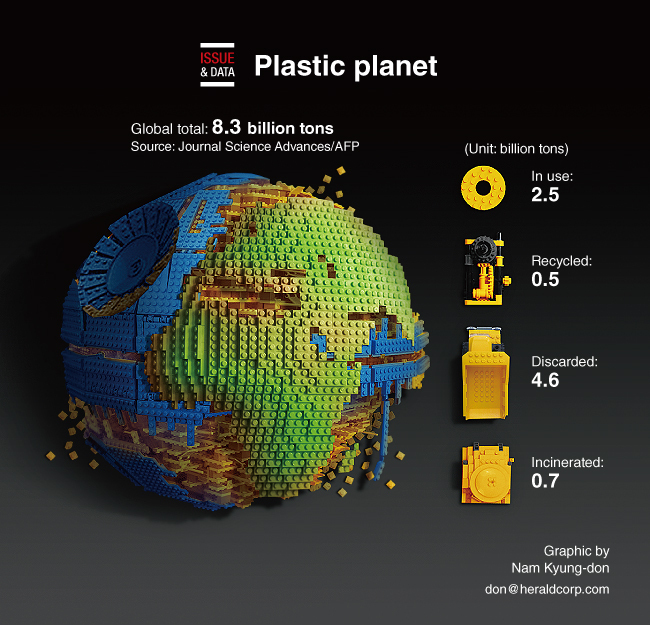 More than 8.3 billion metric tons of plastics have been produced since the 1950s, according to a new study published in the journal Science Advances. As of 2015, humans had generated 8.3 billion tons of plastics, 6.3 billion tons of which had already become waste. Of that waste total, only 9 percent was recycled, 12 percent was incinerated and 79 percent accumulated in landfills or the natural environment. The research predicts around 12 billion tons of plastic waste will be polluting the natural environment or in landfills by 2050.